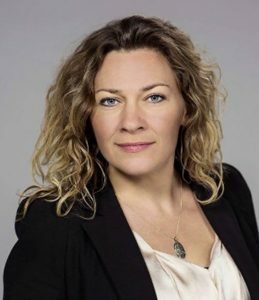 Mie Marcussen, Master of Science in Business Administration and Commercial Laws and Master of Mediation and Conflict Resolution, has been part-time lecturer in mediation at the University of Copenhagen since 2009 and at University of Southern Denmark in Mediation and Negotiation since 2013. Mie Marcussen has mediated in a variety of conflicts. She has mediated in criminal cases, neighbour conflicts, business mediations and in workplace conflicts, which is her primary area. Since 2007 she has been self employed and before that, she was legal advisor and negotiator within labour law and collective agreements at The Confederation of Danish Industries. Mie teaches conflict resolution, mediation and negotiation in private companies, municipalities and in trade unions. She is also doing a lot of volunteer work for example teaching other volunteers at The Council for International Conflict Resolution and she is a board member in Nordic Mediators. Mie is co-author to the book “Mellem os – ABC til konflikt”. Mie Marcussen, Master of Science in Business Administration and Commercial Laws und Master of Mediation and Conflict Resolution, ist seit 2009 Lehrbeauftragte für Mediation an der Universität Kopenhagen und seit 2013 an der University of Southern Denmark in Mediation and Verhandlung. Mie Marcussen hat in einer Vielzahl von Konflikten vermittelt. Sie hat in Strafsachen, Nachbarschaftskonflikten, Wirtschaftsmediationen und in Arbeitskonflikten, die ihr Hauptbereich sind, vermittelt. Seit 2007 ist sie selbständig und war zuvor als Rechtsberaterin und Verhandlungsführerin im Bereich Arbeitsrecht und Tarifverträge beim Verband der Dänischen Industrie tätig. Mie unterrichtet Konfliktlösung, Mediation und Verhandlung in privaten Unternehmen, Kommunen und Gewerkschaften. Sie arbeitet auch viel ehrenamtlich, z.B. als Lehrerin für andere Freiwillige beim Council for International Conflict Resolution und ist Vorstandsmitglied bei Nordic Mediators. Mie ist Mitautorin des Buches „Mellem os – ABC til konflikt“.